Klear.com is the leading source for rating all celebrity social media accounts. Last week Klear rated Steve Comisar in the top one percent of all social media influencers in the world. But here’s the hook, Comisar acquired his entire following while serving his prison sentence. As an inmate Comisar has more Twitter followers than most famous actors who have ten times more acting credits and never spent a day in jail. Comisar began acting at a very young age and has appeared in numerous movies, TV shows, and commercials. He will be released from prison this year and is planning to relaunch his acting career in Los Angeles. Other celebrities who served prison time are Mark Wahlberg, Tim Allen, Robert Downey Jr, Wesley Snipes, Martha Stewart, Christian Slater, and Danny Trejo. Klear Social Media Ratings: http://klear.com/profile/SteveComisar. 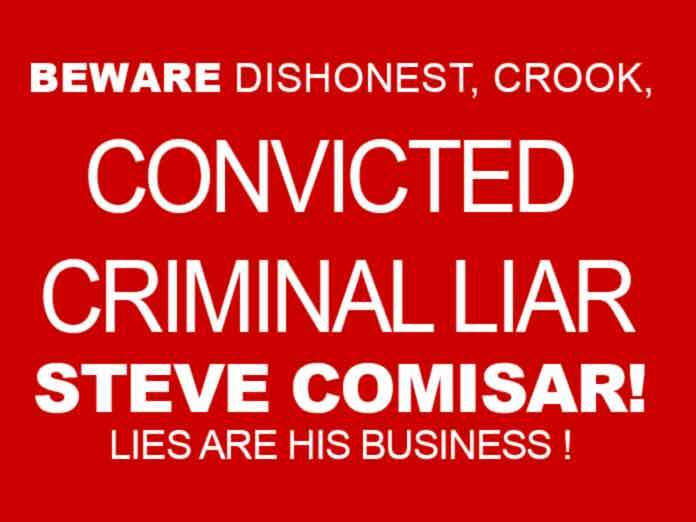 "Love him or hate him, Steve Comisar is planning a comeback in a very big way. There's really nobody quite like him in Hollywood. If his social media popularity is an indicator of his future success, there will be no stopping him," says Comisar's publicist, Laura Levine. Steve Comisar grew up in Beverly Hills and became an actor at a young age, appearing in numerous TV shows and commercials. In the 90's Steve became famous as the golden-tongued con artist, and eventually ended up in Federal prison. Steve wrote the best selling book, "Americas Guide to Fraud Prevention," and starred in several TV specials on fraud. In 2002, after signing with the legendary talent agent Barry Freed, Steve dedicated his full time efforts to movie acting. Steve is presently negotiating the sale of movie rights to his fascinating life story.